God has saved us by his compassionate grace, through the life, death and resurrection of Jesus Christ. He calls us to share his compassion with others, to share the good news and to show his love in practical ways to those in need. 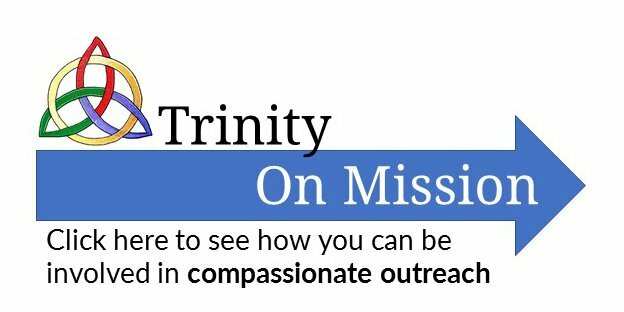 At Trinity we call this mission “Compassionate Outreach”, and we organize our efforts using Acts 1:8. Click on any of the ovals (ministries) for more details and contact information. We would love to have you join us on the mission God has given Trinity Fellowship. (Note: We joyfully provided AWANA clubs at Trinity up until Hurricane Harvey, but with the flooding and re-purposing of our Sunday School Building and with our initiative to rebuild Trinity’s ministry focus, we have had to suspend AWANA, possibly permanently. We will miss the opportunity to serve kids through AWANA.